My 14 year old daughter loves fantasy fiction. I have been reading more fantasy fiction because I want to expand my literary genre and so that I can better understand my daughter. When I read the description for this new trilogy by Ross Lawhead, I knew this would be a book that we would both enjoy. The Realms Thereunder is book 1 in the The Ancient Earth Trilogy series. Uncover a land that has been hidden for over a thousand years. Beneath the land of Britain, a great army is sleeping. On a visit to an old church, Daniel Tully and Freya Reynolds awaken two ancient knights from a centuries-old slumber. They are kidnapped and taken to an underground city that stands in peril, besieged in all directions by a vicious war host. Nidergeard is the only thing protecting the upper world's blissful ignorance of mythical forces that have been held at bay since the creation of the world. In order to return home, Daniel and Freya must strike at the heart of the opposer's power. Fast forward eight years. Daniel, now homeless, still wages what he believes to be a righteous war against those he judges to be evil. Freya has tried to put the past behind her and concentrate on getting an education, a job, and a life. When they reconnect in Oxford, unseen forces begin to ally against them. Daniel is pulled through a portal and into another world. Freya is abducted by someone—some thing—posing as her professor and drugged to keep her in a delusional state. After they finally break free, neither can deny the truth . . . they must return to Nidergeard and resume the battle. With a thrilling narrative that draws heavily upon British mythology, The Realms Thereunder will quickly establish Ross Lawhead as a major new voice in fantasy. My Thoughts: I found this book appealing because Mr. Lawhead combined mystery with adventure to create this fantasy. There is something going on and as a reader I am pulled in because I want to know what that something is. At times I found myself a little confused because chapters rotate between then and now and within the now chapters we have divided sections that flip between three main characters, Daniel, Freya and Alex Simpson, a Scottish police officer. But over all, I enjoyed the story line, the characters and I even grew to appreciate the rotations in locale and characters. Mr. Lawhead employed another element I particularly enjoyed. He used the epilogue to both wrap up the current book by answering a question or two but at the same time sets the stage for the next book in the series. There is one disappointing fact, however. The next book in the series is not scheduled for release until September 2012. I am very much looking forward to the next book in the series. Earlier this week I had a Monday. Oh wait it was a Monday. And it was one of those kinds of Monday’s. With two in high school, one in junior high and the 4th daughter doing early elementary level some days I get nothing but school done during the day. Because it was one of those kinds of days, I was thrilled that dinner was already planned (thanks to e-mealz and the TOS Crew. Watch for my review of e-mealz mid-October!). But this time dinner was special. Not the food itself or the menu. It was special because the whole family (except Supergirl who stayed out of the way.. that in and of itself is helpful!) contributed to dinner. HoneyBear sliced and fried the smoked sausage. BooBear prepared a salad. Tailorbear diced tomatoes. Turtlegirl cut up a honeydew melon. We worked together as a family to prepare dinner because we had all worked hard all day at our “jobs”. It didn’t take long at all to put dinner together. From start to finish maybe 45 minutes? We then enjoyed each other’s company at the dinner table. I didn’t serve the side dishes suggested by e-mealz, but it was a fabulous family affair dinner! Note this post is linked up to e-mealz Family Week Blog Carnival. Read the original post here. I must start with True Confession time. I really wasn’t all that interested in this vendor. I saw them on the Upcoming Vendor list for the TOS Crew and I didn’t get all excited or jump up or down. God never ceases to amaze me though. My teen girls, especially my 14 year old, however, have been really excited about this vendor. Aletheia Writing Magazine is a quarterly publication for Christian teens. The founders of this magazine, Nicholas & Stephanie Muzekari are committed to “offering readers a quality literary and artistic publication that nurtures spiritually-minded creativity from Christian teens across the country.” Each issue includes stories, poetry, photography and art as well as Features and Book Review. As soon as the Fall Issue arrived, Turtlegirl, my 14 year old literature loving, budding author, disappeared into her room with the magazine. Thoughts from Turtlegirl: I enjoyed reading stories from kids around my age. I like seeing that I’m not the only person who likes to try to write stories when I haven’t finished my education yet. It’s interesting to see how some of them weave Christian elements into their stories. They usually do it in a way that doesn’t scream denominations. I like that. I am considering participating in the Writing Challenge. Maybe I’ll even submit something to the magazine. I’d like to try writing the poem from a picture but I’m not a good poet. Tess Notes: For information about the current Writing Challenge click here. The deadline is October 15th. Thoughts from BooBear age 16: It’s kind of inspiring. Kind of makes you want to write on your own. I have always wanted to write and this gives me that push to actually do it. I’ve thought about writing something to submit. I don’t want to do the Writing Challenge because I can’t be told what to write. I need inspiration. I thought it was cool that it has Orthodox stuff that it was more than just Protestant and Catholic. I love that it is Pan-Christian! I love flipping through the pages and finding Orthodox references. I love seeing that all Christian backgrounds are represented. The founders are homeschoolers! The magazine is open to all Christian teens and their families and many of the contributors are homeschoolers. Something to think about: This magazine is geared for teens 13-19. The maturity level of the contributions depends on the maturity level of the contributors. This means that some material may not be suitable for younger teens or may be immature for older teens. My 12 year old (she is exactly 12 1/2 this month!) was not as interested in the magazine as her two older sisters. She too wants to write and I suspect that in another year or two Aletheia Writing Magazine will have more appeal for her. Some fun Trivia: Aletheia is the Greek word for “truth” or “unveiling”. Our home school is Aletheia Academy. We choose the Greek word for truth because we want our home school rooted and grounded in God’s Truth. I love that the name of the magazine uses the Greek word. I think it’s a very pretty word and I love the meaning that it brings to the magazine! If you would like to know about Aletheia Writing Magazine please check out their FAQ Page and their ABOUT page on the website. For $26 (of course that includes shipping and handling) you’ll receive four, 40 full color page, issues. I do wish they had a digital subscription option that would make it a little more affordable for my family. I think Turtlegirl would love a digital subscription! For more information about subscriptions including Canadian and International pricing click here. Please click on the banner below to read what my fellow crew mates have to say about Aletheia Writing Magazine: All information is correct and accurate as of the date of this review. Disclaimer: As a TOS Crew member, I received the Fall Issue of Aletheia Writing Magazine free of charge to review. This review is my honest opinion with, hopefully, enough detail as to why I liked or did not like a product so that my readers can make an informed decision. I received no compensation. I really love this CD! I am so excited that I get to give one away! Last week I posted my review and giveaway. There were 21 entries at Midnight Eastern last night when I closed the comments. This morning I used Random.org to draw a winner. And the winner is #5! Congratulations Giant Sis! I hope you enjoy this CD as much as I have been enjoying mine! Thank you EVERYONE who participated in my giveaway! Award winning Rebecca St. James is an internationally successful entertainer who also writes best selling books. For more information about Rebecca St. James you can visit Rebecca St. James. About What Is He Thinking?? In WHAT IS HE THINKING? ?, Rebecca interviews a range of men from high-profile types to the guys next door, men that every woman can relate to. Although the interviews focus on single guys ages 20-35, Rebecca also includes words of wisdom from older mentors she respects who have been successfully married for years, people like her dad, life coach, and pastor. The men share their thoughts on topics like how women can respect themselves and the men in their lives, modesty, purity, taking it slow, friendship, letting guys lead, and more. This book gives them the floor to say what they would really like women to know. What is the most attractive quality to you in a woman? How can we be dependent on God for our identity, not on you? How can we help you with boundaries physically? Rebecca also discusses her own dating life, speaking openly about the single life, her struggle with loneliness, and her hope for the future. She challenges women to see the men in their lives as brothers in Christ and to trust God with their dating lives. My Thoughts: I am not single nor do I need advice on dating for myself, however, I have daughters. Four of them. And two of them who are beginning to think about their future. I wanted to read this book so that I could discuss dating, love and marriage with my daughters. I confess to being a bit frustrating by Ms. St. James writing style. I wonder if it is just that I am happily married and have been for nearly 17 years so maybe I am out of touch with the dating world? In any case I did discover valuable nuggets to share with my daughters and I will have my 16 year old read the book soon. I very much appreciated the chapter on marriage mentors and Ms. St. James interview with her own father on what makes a marriage a success. Though I was not pleased with the style of writing, I found the book worth reading and I am pleased to offer my readers a chance to win a copy of this book for themselves. This Giveaway has ended but you can still go give Rebecca St. James some love on Facebook! Like What Is He Thinking?? on Facebook. Like Rebecca St. James on Facebook. We love games here and teaching my daughters how to think is high on my list of educational priorities. A game that teaches thinking and problem solving skills is going to win my heart. As a member of the TOS Homeschool Crew, I received both the Standard Edition and the EcoTravel Version. We preferred playing on the standard board, however, I loved having the travel version to take with us on our day trips and picnics. Everything you need fits inside the drawstring bag which easily fits into a purse or bag. You can watch more videos on the website here. This game has quickly become a family favorite. We’ve even included Supergirl in some games. The box suggests ages 10+ however according to the FAQ page just as you can teach a younger child how to play Chess, you can teach an 8 year old to play Tri-Cross. She is developmentally 6 years old and I’m not sure how much she actually understands of the strategy but it is wonderful that all four of the girls can play the game together. I’ve watched both Turtlegirl and Tailorbear improve their thinking skills while playing the game. The first couple games we played were very short but the as the girls learned how to plan moves and counter opponent strategy the games have lengthened. This is a fun way to build these skills. If you like strategy games, then you would like Tri-Cross. This is the standard edition of the game and retails for $18.95. You can purchase this version, the travel (Eco) edition ($7.95) or the wood edition ($29.95) from the Tri-Cross store. By clicking on the Tri-Cross store link you can access a link to a list of retail locations where you can purchase Tri-Cross..
Games for Competitors generously provided me with the Tri-Cross Standard and Tri-Cross TravelEco Editions for my review. I am pleased to announce that ~Jamie~ and Alane @RaH won the Introducing Theo giveaway. Last week I posted about this adorable new series for children and you can read about that here. My giveaway ended last night and this morning I used random.org to pick two winners. I had a total of 21 entries so I used 21 as my range and I drew number 15. I removed ~Jaime~’s entries from the count and drew another number from random.org. This time it was number 6. Congratulations to both of you! Thank you everyone who participated! From the Back Cover: “The AIMS Education Foundation is a research and development organization dedicated to the improvement of the teaching and learning of mathematics and science through a meaningful and integrated approach. I received a thick reproducible book (it’s over 475 pages!) and a CD-ROM. The CD-ROM contains PDF files for the activities. What a convenience! I didn’t have to tear my book apart and I could print only the pages we needed. The PDF files do not contain all of the information from the book but it does contain all of the consumable parts that can be reproduced. At first I had a hard time wrapping my brain around how to use this resource. Should I use it as a stand alone science curriculum? Should I try integrating it with an earth science curriculum? I have some earth science resources so I thought I would try to incorporate those readings with the hands on activities in AIMS Earth Book. That proved more difficult for me and in the end, we decided to just use the book as is by itself at least for now. Divided into four sections, this fun resource covers the hydrosphere, geosphere, atmosphere and interactions. Each section is further divided into lessons each with a hands on activity. a section entitled Connecting Learning . Turtlegirl,decided to start with the Hydrosphere. Here she has laid out everything she needs to do an activity about currents. Retailing for $49.95 the Earth Book is listed for grades 6-9. You can purchase this activity book directly from AIMS Educaitonal Foundation HERE. You can see what other products are available HERE. AIMS has a series called Essential Mathematics that looks very interesting! We’ve enjoyed Earth Book. Turtlegirl and I both love the Rubber band books that accompany each lesson. We’re both looking forward to the other 3 sections of the book. I think this program would be awesome for home school co-op. I love how it worked so well for us as an independent way for Turtlegirl to explore science. My daughter has extra extra extra thick hair. Seriously! I think her hair is 4 times as thick as my own. When she divides her hair into two parts for ponytails or braids, there is enough hair in just ONE part for at least two people. She pulled back part of her hair into a bun and secured it with an octopus clip and then braided the rest of the hair. I am so glad that she found something she liked for her hair that was fairly easy and simple to do but looks fantastic! This past week I’ve been listening to a pre-release of Jeremy Riddle’s new album, Furious. I started listening at the end of a not so good day and found that the music was soothing for my soul. This is contemporary worship music not just contemporary Christian rock. Though I don’t care for contemporary worship music in my corporate worship at church, I do enjoy listening to it for myself. Like a private prayer, if you will. Listening to Jeremy Riddle allowed me to focus on God, gave me a kind of connection while I washed dishes or chopped veggies or just played on my computer. After a very stressful day, I found Furious to be just what I needed. I felt the tension leave my body as I closed my eyes and listened to the music. I think my favorite song is “Love Came Down” it starts with “If my heart is overwhelmed and I cannot hear Your voice, I’ll hold on to what is true though I cannot see.” The chorus begins “Love came down and rescued me. Love came down and set me free.” Beautiful music. Beautiful words. To read more of the background of this fabulous cd you’ll want to visit Jeremy’s page at Vineyard music. I really love this album and I’m so excited that I get to share one copy of the CD with one of my blog readers. I wish I had more copies to give away! To enter please leave a comment telling me who you think would most enjoy this album at your house. Like Vineyard Music on Facebook. (As a bonus you’ll be able to download 3 Jeremy Riddle Songs FREE!). This Giveaway will end at Midnight Eastern Time on Monday September 26, 2011. One winner will be drawn using Random.org. I will announce winner on 9/27. Winner will have 48 hours to respond. Please make sure I have a way to contact you. I reserve the right to re-draw if, after making a reasonable attempt, I cannot get shipping information for the winner. Just a quick announcement to let everyone know that I used Random.Org to select a winner for the Ginny Owens Giveaway. I have sent an email to Sara. Congratulations Sara! I hope you enjoy the cd as much as my family has enjoyed it. For those of you who didn’t win there’s still a chance for you to win! My friend Debra at Footprints in the Butter is also hosting a Giveaway and so is my friend over at Ramblings from the Crazy House 2. Congratulations again to Sara @ Embracing Destiny! Thank you, everyone, for participating! Over the last several months I kept hearing how my friend Brenda from Garden of Learning and my friend Debra from Footprints in the Butter loved Bountiful Baskets. Two weeks ago I picked up my first basket. I had only requested one conventional basket but I also did a special order of peaches. My girls canned the peaches and I blogged about it here. This week though.. oh my word. Let me show you in pictures what I got. Keep in mind though that I got TWO conventional baskets. Doesn’t that all look yummy! We’ll be eating well here! For the past several weeks Turtlegirl, age 14, and I have been working through Deeper Roots’ Discovering Who I am In Christ bible study. This study is intended for students in grade 8 but can be used for grades 7 or 9 as well. Discovering Who I am in Christ is book 2 in the Discovering Series but book 1 is not a prerequisite for this course. This book focuses on helping 7th, 8th and 9th graders understand their identity in Christ. The teacher book is laid out exactly like the student book but contains answers, teaching tips, suggestions and notes. For the study pages and tests the teacher guide has the student copy and a second copy with the answers. 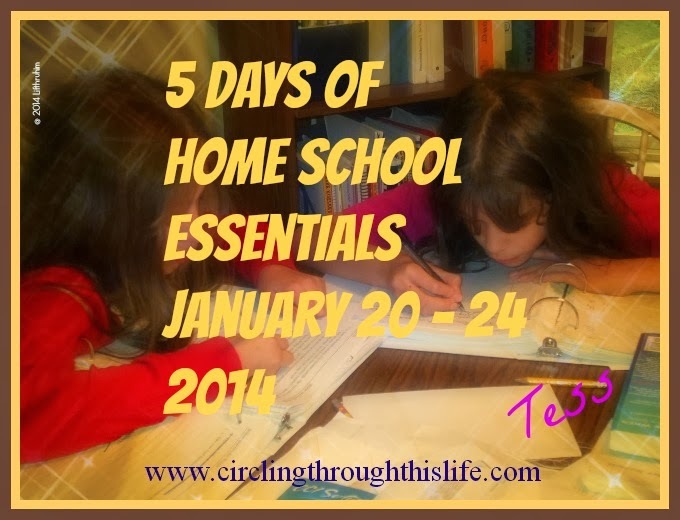 Though labeled as a “Home school edition” this was not home school friendly. It is laid out for a classroom approach involving multiple children. Requires outside sources such as movies, books or movie clips to watch and additional supplies such as poster boards, markers, and wooden blocks. Having to hunt down materials to use in a presentation designed for a classroom does not appeal to me in a home school Bible study. I love the focus. I wanted to review this product because I felt my daughter would greatly benefit from a better understanding of who she is in Christ. Turtlegirl says she likes the discussions too and that it isn’t hard to add stuff from our denomination. I loved how it easy it was to use a study bible to give deeper insight to the verses used in each lesson. Turtlegirl also likes the “reflections” section because they give her an opportunity to write. I think that this product as written would be an excellent curriculum for a Co-Op or Sunday School but for homeschoolers I would adapt the program by cutting out the presentations and just focus on using the questions as a starting point for some great in-depth family discussions. Visit the Deeper Roots Website here: Deeper Roots. In addition to the Discovering Series of bible studies for junior and sr high students you’ll find lots of other resources too! I keep thinking or maybe it’s just wishfully hoping that today is Friday. It’s been a long week and we’re not done yet! I almost titled this post “The best laid plans” you know “the best laid plans of mice and men yada yada yada. I planned for this to be our first FULL week back to school. I even had a “school wide meeting” on Sunday afternoon to discuss how to do some extra work on Monday and Tuesday so that we could go to church on Wednesday for the Feast day. I made lesson plans and printed out some ebook pages for certain students. In other words I was close to being organized. And then…. A nasty, unwelcome, tiny critter invaded my home. Sunday evening I hear: “Mom, my throat hurts and I don’t feel well at all.” A kiss on the brow confirmed the fever. Monday morning said child is feeling worse and fever is not abating and child 2 begins to complain of the same symptoms. In the middle of the night I awake to the sound of crying. Child number one is withering in pain from an earache. Thankfully child #1 who has been on antibiotics the longest is feeling much better. Child #2 and Child #3 are doing slightly better and my throat is at least NOT worse. Child #4 still displays no symptoms (Thank you, Lord!!) but today I had to deal with prescription mix up/mess up. It’s all straightened out now and everybody has the right prescription with the correct dosing and the correct number of doses. Can it be Friday so I can put this week to bed and move on? My family has been enjoying the first episode in a brand new animated series for children: “Theo: Saving Faith.” This short clip tells the story of Abraham and his saving faith in God. The DVD I received also contains a bonus episode: “Good News”. In “Good News” Theo explains the Good News that God loves us and he defines sin. I think these would be great gifts to give to children or to church libraries to use for VBS or Sunday school. I am so excited because I get to give away 2 (yes TWO!) copies of the DVD to two of my blog readers. Just leave me a comment telling me if you’d use your copy for your own family or if you’re thinking of blessing someone else. Like Theo on Facebook. then leave me a comment telling me you’ve done it. This Giveaway will end at Midnight Eastern Time on Wednesday September 21, 2011. One winner will be drawn using Random.org. I will announce winner on 9/22. Winner will have 48 hours to respond. Please make sure I have a way to contact you. I reserve the right to re-draw if, after making a reasonable attempt, I cannot get shipping information for the winner. Turtlegirl has been asking to get a hair cut for quite some time. Finally, her daddy took her to get it cut. He needed a hair cut too so off they went. Another one of my daughters (I have 4 of them!) and I were talking about how cute and adorable the hair cut is and how flattering and wonderful it looks on Turtlegirl. I also commented on how it reminded me of a young lady we know. Me: She’s got kind of a “R” (insert name of friend) look going for her now. Turtlegirl (with indignation in her voice) I should look familiar! I'm your sister! Other Daughter (with a heavy sigh) That didn't come out right. **Disclaimer all innocent and guilty parties have consented to be on display in this blog post. Maybe you are like me and you’re scratching your head going “Ginny Owens? Ginny Owens? Nope, I can’t quite place the name.” When I received the email offer to review this CD, I was unfamiliar with her name or her music. I checked out her website: Ginny Owens Music. After reading her story and listening to a clip of the music I knew I wanted to review the CD. I’ve heard it said that the eyes are the windows to the soul. I would say that music is the bridge that connects two souls and can give us a glimpse of the soul that the eye can not. Born and raised in Jackson, Miss., Owens was discovering melodies on the piano almost before she could complete a sentence. Songs began to emerge from her fingers as the vision began to leave her eyes and by the age of three a degenerative eye condition left Owens completely blind. Despite her physical challenge, Owens pursued a music career. Songs provide a window into a world Owens can’t see and an outlet for her to express her thoughts and dreams. Owens’ unique musical style and inspirational lyrics continue to appeal to Christian and mainstream audiences alike. My teen girls all loved the album and each of them have their favorite songs. I know this is one album that we can bring along on car rides and everyone will enjoy it. There was something for everyone on this album. Know what else I’m excited about? Besides the fact that we’ve found an artist and album that the whole family agrees on, I get to give away one copy of this Ginny Owens cd to one of my blog readers! To enter please leave a comment telling me who you think would most enjoy this album at your house. Like Ginny Owens on Facebook. Comment on another of my blog posts (non-giveaway post). Leave me a comment here telling me you’ve done so. You can do this once each day! Follow my blog using Google Friend Connect or Networked Blogs. This Giveaway will end at Midnight Eastern Time on Sunday September 18, 2011. One winner will be drawn using Random.org. I will announce winner on 9/19. Winner will have 48 hours to respond. Please make sure I have a way to contact you. I reserve the right to re-draw if, after making a reasonable attempt, I cannot get shipping information for the winner. BooBear got everything laid out. They didn’t need the funnels but here you can see the jars, rings, lids, jar lifter and even the “Bible” of canning, The Ball Blue Book. We had ordered a box of peaches from Bountiful Baskets. Supergirl had the very important job of bringing the peaches from the box to the counter. Turtlegirl and Tailorbear did an awesome job peeling and halving the peaches. We used the “immerse in boiling water then dump into cold water” method to make peeling easier. We noticed that ripe peaches are much easier to peel. Once the peaches were ready, the girls loaded up the jars and then loaded up the canner. BooBear really likes to use the jar lifter. Her sisters complained because they also wanted a turn but BooBear "hogged" the job. Personally, I'm always afraid I'm going to drop the jar so I'm relieved when someone else says "I'll do it!". I am so proud of how hard they worked and more importantly how well they worked together. They were a true team working together, laughing together and having fun together. Aren’t the peaches beautiful? Almost as beautiful as my daughters.